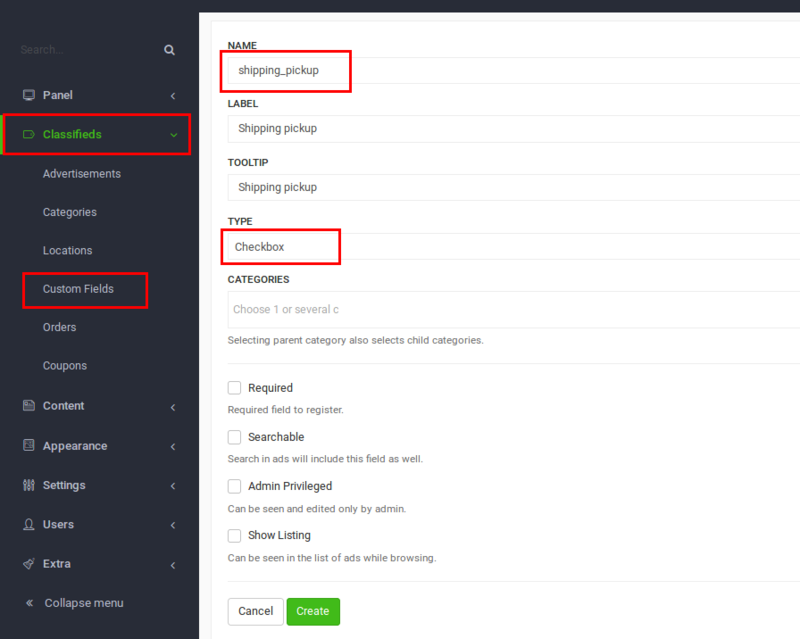 This feature allows users to specify the shipping cost for their products. If you don’t know how, you can follow this guide. After you create the field, when a seller posts his advertisement he will be able set the price for shipping by filling this field. Then on the checkout page, the shipping cost will be displayed after the item price. Finally, the order will be the shipping cost plus the item price. Remember, it’s very important to name this field “shipping”! 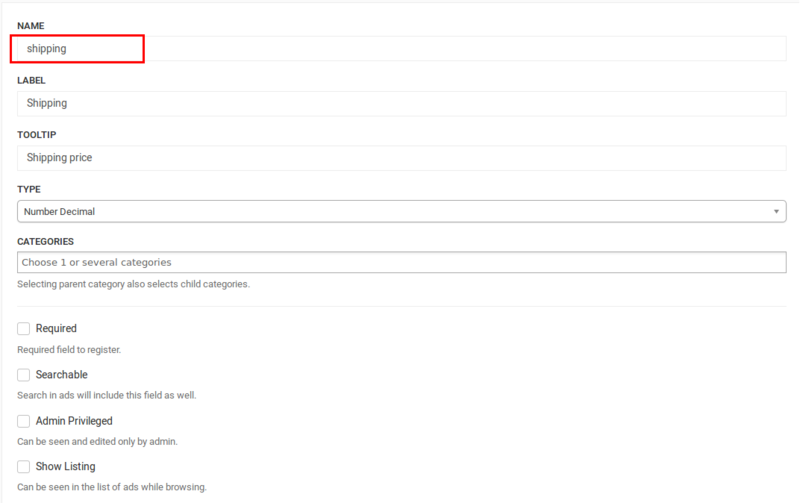 This field will add an option in the “Publish new” form. 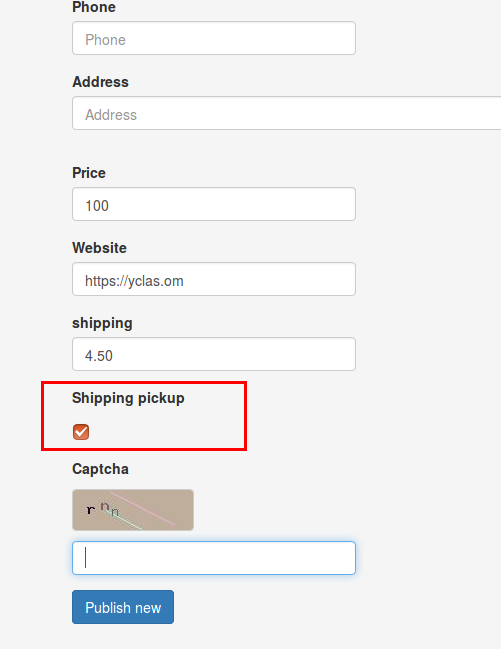 If the option for pick up is checked, users will be able to choose the shipping method in the checkout page. How to publish an ad with a different contact email?